Whitstable Holiday Homes provides a unique selection of Whitstable self-catering accommodation. Our Whitstable holiday accommodation ranges from traditional fisherman's cottages, deluxe apartments to stunning beachfront houses and also dog friendly properties. Find your perfect holiday cottage or house in Whitstable with our personal tailored service. Just a short commute from London, this popular fishing and oyster town on the Kent coast, is only 7 miles from the historic cathedral city of Canterbury and on the doorstep of the beautiful Kent countryside. Whitstable is famous for its stunning sunsets, vibrant watersports, native Whitstable oysters, local art, trendy pubs and restaurants. The Sportsman Seasalter is nearby. While summer fun can be found in the annual Whitstable Oyster Festival. We are also experienced in accommodating wedding guests for the many beautiful wedding venues offered in Whitstable. Whitstable Holiday Homes provides the perfect accommodation for all - short weekend breaks, family holiday or romantic weekends. For a great selection of Whitstable accommodation call us today! If you are looking for somewhere very special to stay in Whitstable, why not treat yourself to a weekend break or week's holiday in one of the following unique holiday homes. 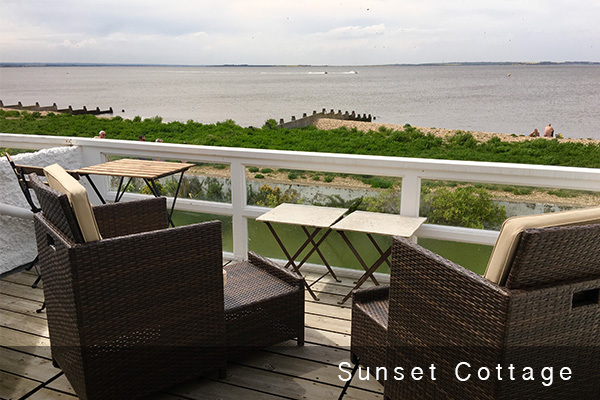 These house are on the beach in Whitstable and enjoy extensive sea views & Turner inspired sunsets. Whitstable Holiday Homes offers a great selection of pet friendly properties. So why not let your dog join in the seaside fun too. For those of you who would like the convenience of parking outside the front door, we have a selection of holiday homes with one or more private parking spaces. All content © Copyright 2019 Whitstable Holiday Homes Ltd and protected under the UK and International law. Duplication, reproduction and/or distribution of any material on this website is strictly prohibited. All rights reserved. Whitstable Holiday Homes Ltd, 149 Island Wall, Whitstable, CT5 1DY | Company No. 07242222 | Registered Office: 11 Aldion Place Maidstone, Kent ME14 5DY.